I’ve been having lots of fun learning to code with Scratch over the past month. It inspired me to write blogs about the benefits of teaching programming skills and computer science standards. But it also prompted me to ponder about teaching practices associated with coding. Many of the resources I researched suggested that students write coding journals or logbooks. Some technology curriculum even incorporates learning journals as an essential component. A case in point is the Robotics unit of the Prince Edward Island Career and Technical Education Curriculum. Students write routine, specific journal entries and these are included in assessment. Journal writing is a common task for primary students to build writing fluency. But journals can also be a powerful tool for learning programming, consolidating of coding skills, and self-reflection for young people in junior, middle school, and senior grades. Reflection can be difficult. Providing guiding questions can help students think about the coding experience. 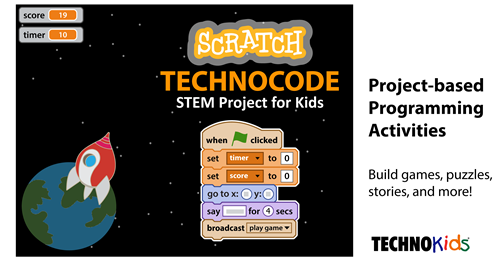 In TechnoCode, a STEM project by TechnoKids, coding journals log entries are part of the coding experience. Open-ended questions, rating scales, and checklists guide students to reflect upon their learning. It is valuable to include prompts about the design process, debugging, coding block usage, and attitude towards programming. Include guiding questions to help students reflect upon learning when using coding journals. What to Use to Write a Coding Journal? OneNote, Microsoft Word, and Google Docs are common tools with which students are familiar. The app used should be easily accessible for students at the beginning, during a coding class, or as an end of class activity. Anything that can generate a text file and can be kept open on the desktop will work. Students should be able to open the learning journal file as ideas come to them. Why Write a Coding Journal? Students write about their creative plans, list coding steps, document their work, and/or set realistic goals. Rather than jumping right in and starting to write code, journals can be a tool to plan and organize animations, stories, or games. When natural language is used to express the actions that are to be translated into coding language, understanding and retention is enhanced. As they write in their own voice, students build a firm foundation for coding terminology. Listing both the plain text and the programming algorithms can become a personal ‘how to’ dictionary to be referenced as needed. Debugging is a routine part of learning to code. When students are stuck, they can turn to a coding journal to figure out a solution. Writing about the problem forces the programmer to slow down their thinking and use self-talk to describe the issue and trouble shoot. Each part of the code needs to be checked in a logical manner. This process has been referred to as rubber ducking. The term came from a programmer who carried a rubber duck around with him. Whenever he had a problem, he would explain it to the duck. In listing the code line by line, he would often find the error and fix it. In this case, the journal becomes the rubber duck to which the author is ‘speaking’. A programmer can write down all the attempts made to solve a problem in a journal. When the journal is reviewed afterwards, it represents a progress report of all the knowledge gained and growth achieved. This is authentic evidence of learning. Written communication of ideas can make a student become more thoughtful about their new skills. A journal can be a form of self-assessment. The process of coding frequently leads to challenges and trouble shooting. In a coding journal, students can be encouraged to reflect critically on their feelings, whether it is hope and enthusiasm for new projects or detailing frustrations with algorithms that don’t ‘work’. Writing about obstacles can defuse the feelings and modify perspective. Instead of private writing, coding journals can be composed using social media. Blog posts and tweets encourage commenting. As students help each other they build responsible digital citizenship skills while developing programming skills at the same time. Positive support from peers and input from teachers forms connections, fosters teamwork, and boosts confidence. What to Write in a Coding Journal? Write about something you still want to learn. Outline a coding task that you found difficult. Describe what you accomplished today. How would you rate your final project? What are your strengths in learning to code? ✓ Can the student share the journal with the teacher and/or peers? ✓ Should the teacher provide feedback to the thoughts in a student’s coding journal? ✓ Will the coding journal be part of the evaluation of the programming project?